HomeAviation Safety / Air CrashesUSAF T-6A Texan II Trainer Crashes Near Randolph AFB, Texas: Crew Ejects Safely. Accident is Eighth USAF Loss This Year, Second Trainer Crash in a Week. A U.S. Air Force T-6A Texan II single-engine, two-seat turboprop primary trainer aircraft crashed on Tuesday afternoon, Sept. 18 outside Randolph Air Force Base in Texas near the town of San Antonio Texas. The two crew members on board ejected from the aircraft and survived. The aircraft was from the 12th Flying Training Wing as confirmed by a USAF statement released on social media. There were no injuries on the ground from the accident and an investigation is under way. The crash brings the number of USAF aircraft destroyed in accidents this year to 8, and is the second loss of a training aircraft for the Air Force in 7 days. On Monday, Sept. 11, 2018, a USAF T-38C advanced twin-engine, two-seat, jet trainer from the 80th Flying Training Wing at Sheppard Air Force Base in Texas departed the runway prior to takeoff. Both crewmembers ejected. One of them, Major Christian Hartmann of the German Air Force, was treated for minor injuries according to the Sheppard Air Force Base Facebook page. Luftwaffe (German Air Force) Maj. Hartmann is part of the Euro-NATO Joint Jet Pilot Training Program at Sheppard AFB. 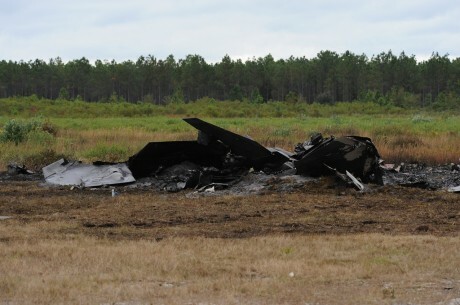 Last week’s T-38 accident was the fourth involving a T-38 advanced jet trainer in 11 months. In response to the number of aviation accidents during the 24 months prior to May, 2018, U.S. Air Force Chief of Staff General David L. Goldfein directed a single-day safety stand-down for an operational safety review earlier this year. The single-day safety stand-down directed by General Goldfein earlier this year does not appear to have exerted an effect on the frequency of incidents and accidents for the U.S. Air Force in the four months since it was directed. No single, specific reason for USAF accidents has been identified. Some observers suggest the number of military aviation accidents is related to a pilot shortage across all U.S. military branches. The pilot shortage may be compounded by an increasing training and operational tempo as the demand for military aviation assets increases. The T-6A training aircraft involved in Tuesday’s crash has a proven record of airworthiness. The Beechcraft T-6A first flew in 2000 and replaced the previous Cessna T-37B twin-engine, two-seat light jet trainer for the Air Force. The T-6A was also adopted by the U.S. Navy as a replacement for its aging Beechcraft T-34C Turbo Mentor primary trainer.